i-Sprint as a world class Solution Provider in Identity, Credential and Access Management Solution enables individuals, organizations and societies to build trust and identity assurance for powering huge productivity gain through digital identity and identity of things – “The Force of IdentityPlus” – to accelerate and extend the Circle of Trust. 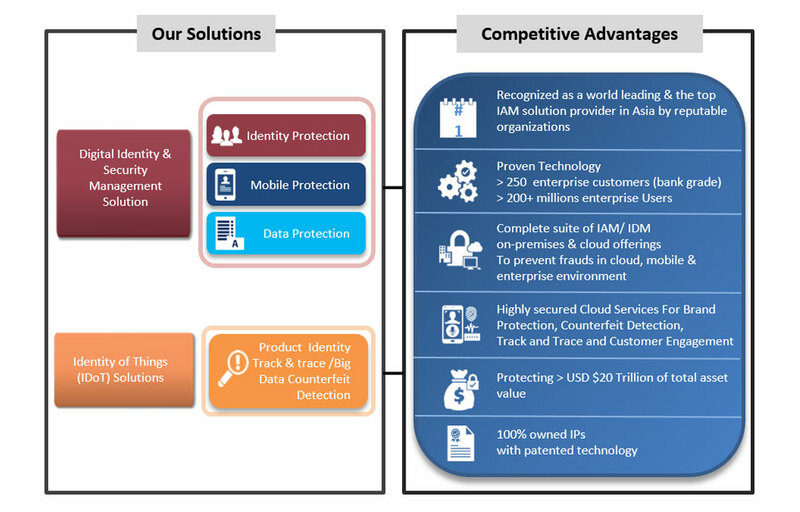 To provide state of the art innovations in Identity, Credential and Access Management Solutions to ensure secure access and protection of data/transaction/asset among the four major IT forces (Cloud/ Social/ Mobile/ Information) by incorporating the latest Mobility/Biometrics/Cloud/Identification technologies in the most effective and efficient manner to build trust and identity assurance. i-Sprint Innovations (i-Sprint) established in the year 2000, is a leading provider in Securing Identity and Transactions in the Cyber World that enables individuals, organizations, and societies to build trust and identity assurance for powering productivity gain through digital identity and identity of things (IDoT). i-Sprint’s clients include leading global and regional financial service institutions, government agencies, telecommunications, public utilities, manufacturing, healthcare, education, multi-national corporations and others. Currently, i-Sprint has a direct presence and active authorized partners across Singapore, China, Hong Kong, Taiwan, Malaysia, Thailand, Japan and the United States. i-Sprint’s unique brand of security products, intellectual properties, and patents are designed to exceed regulatory requirements such as global financial services. By incorporating the latest mobility/ biometrics/ cloud/ identification technologies, i-Sprint provides solutions that ensure secure access and protection of data, transaction and assets. i-Sprint delivers trusty, versatile and strong authentication, and identity management platform to secure multiple application delivery environments based on a common security platform. i-Sprint’s digital identity product offerings include adaptive authentication (biometrics, multifactor authentication and more), single sign-on services, end-to-end encryption (E2EE) authentication and data protection for transaction data and to secure access to the web, mobile, and cloud-based applications. i-Sprint’s IDoT product offerings provide the next-gen anti-counterfeiting, track and trace, and interactive consumer engagement that aims to help business in building consumer trust, improve brand protection, personalize consumer engagement and provide business intelligence.